“Challenges of organization and functioning of local government in Albania in the framework of the Administrative Reform” | Universiteti "Aleksandër Moisiu"
The Department of Public Administration at the Faculty of the Political Sciences and Law, Aleksandër Moisiu University of Durrës, in cooperation with Sophia Antipolis University, Nice, France organize the International Scientific Conference “Challenges of organization and functioning of local government in Albania in the framework of the Administrative Reform”, which will be held on March 27th, 2019 in Durrës, Albania. The Department of Public Administration at the Faculty of the Political Sciences and Law, “Aleksandër Moisiu”, University of Durrës, in cooperation with Sophia Antipolis University, Nice, France organize the International Scientific Conference “Challenges of organization and functioning of local government in Albania in the framework of the Administrative Reform”, which will be held on 27th March 2019 in Durrës, Albania. 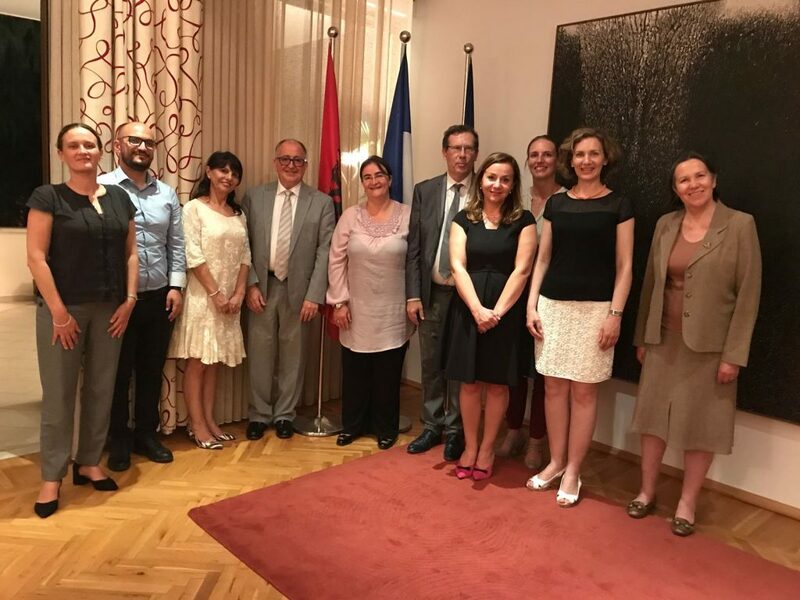 This activity has been included in the program of France Embassy in Tirana for the month of francophony. The main aim of the conference is to stimulate debate amongst academics, experts, representatives of central and local governments and interest groups in order to present their most important findings on issues, problems, and challenges faced by the local government bodies after the implementation of the Administrative-Territorial Reform, the aim of which is to improve governance, full and qualitative access of citizens to public services, local democracy and local economic development. The local level is the one in which direct democracy and civic representation are exercised, where services are provided and where social and economic development takes place. Local governments play a critical role in shaping and developing the social and economic life of their territories, bringing communities closer to each other and providing local solutions to local problems. 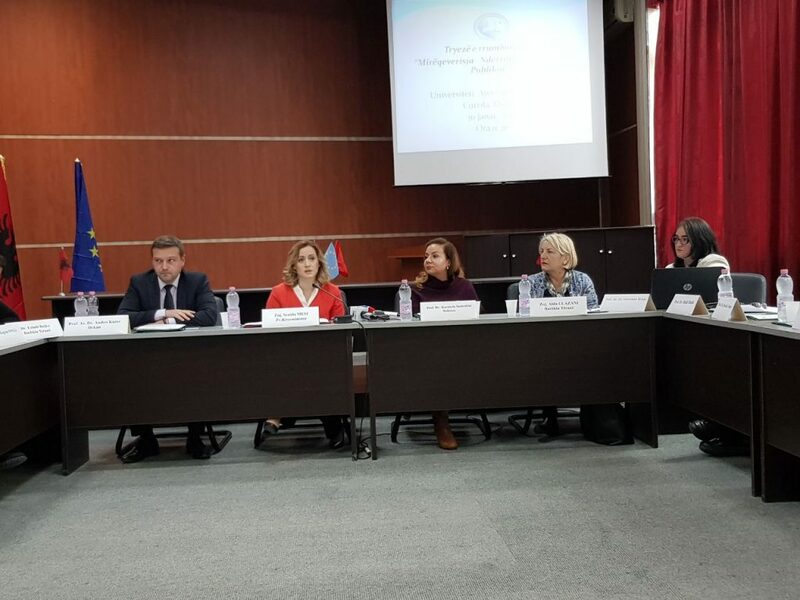 The vision of this conference is to promote research, discussion and critical thinking about issues related to the challenges of the local government in the fight against corruption and organized crime, public finance management, local development and management of natural resources, harmonization of the national legal framework with the local one, etc. This conference aims to create a constructive debate and to draw conclusions and recommendations in the framework of increasing the efficiency and ability of local units to provide better services and give citizens and communities more access to these services. All interested participants can submit an abstract of 1000-1500 words. Extended abstracts will be reviewed and accepted on the basis of their quality and relevance to the research area of the Conference. All selected abstracts must be original and must have not been published elsewhere. The challenges of the local media, the period of transition from the analogue to the digital one. 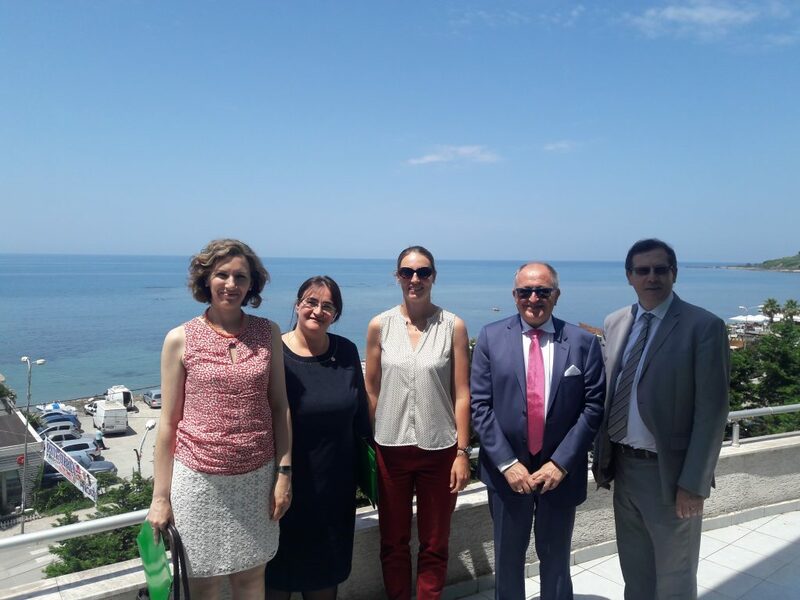 The official languages ​​of the Conference are Albanian, English and French. Abstracts should be written in Albanian, English or French. The abstract of the works presented in Albanian should be sent both in Albanian and English or French. The abstract should clearly indicate the purpose of the research and its connection to the topic of the Conference and the relevant section, the main pillars of literature browsing, the approach used, the main topics of analysis, the main research results and their relevance, the most important conclusions, full bibliography as well as 4-5 keywords. Format: Abstracts should be presented in Microsoft Word format. Font Size and Type: 12-pt. Font Times New Roman and 10-pt. for references, appendixes, footnotes, tables, and figures. The Conference fee is 50 Euro for every extended abstract. Payment must be done no later than March 1st, 2019 at the account number that will be sent by e-mail to all authors whose papers have been accepted. Participants are required to indicate the desired presentation form at their paper proposals. We would appreciate if you share this Call for Paper with your colleagues and collaborators. Thank you very much for your interest and hope to see you in spring in the beautiful city of Durrës! Prof. Asoc. Dr. Lorenzo MEDICI Departamenti i Shkencave Politike, Universiteti i Perugia/ PhD. Associate Professor in History of International Relations, Political Sciences Department, Perugia University. The extended abstract should clearly indicate the purpose of the research and its connection to the topic of the Conference and the relevant section, the main pillars of literature browsing, the approach used, the main topics of analysis, the main research results and their relevance, the most important conclusions, full bibliography as well as 4-5 keywords. 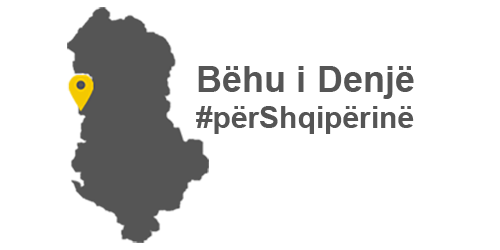 The official languages ​​of the Conference are Albanian, English and French, thus Abstracts are welcomed in Albanian, English or French languages. The extended abstract of your valuable works presented in Albanian should be sent in English or French language as well. Accepted abstracts will be published in the conference proceedings. Please ensure that the manuscript has been “spell-checked” and “grammar-checked”. Format: Abstracts should be presented in Microsoft Word format (.doc/docx). Abstract: The abstract should give a clear indication of the objectives, scope, methods, results and conclusion of your work. All manuscripts must include a 100-150 word abstract typed on a separate page. Introduction: The introduction usually contains a background and/or a motivation for the research including comparison to related research. Objectives: The objectives of the research paper summarize what is to be achieved by the research study. Theory: A brief description of the theoretical foundations, research framework, etc. that is relevant to the work presented. Methods: This section should describe what was done to answer the research question, describe how it was done, justify the research design, and explain how the results were analyzed. Discussion: Discuss the results. What conclusions can you draw? Put results in perspective by comparing to other studies or generally accepted knowledge in the field. Critically evaluate your own method and results with respect to the simplifications made. References: Please include references prepared according to the American Psychological Association (APA) 6.0 Guidelines (refer www.apastyle.org). The Conference fee for every extended abstract is 50 Euro. Payment must be done no later than March 5th, 2019 at the account number that will be sent by e-mail to all authors whose papers have been accepted. The conference shall be held at Aleksandër Moisiu University, Campus-Spitallë, Durrës. 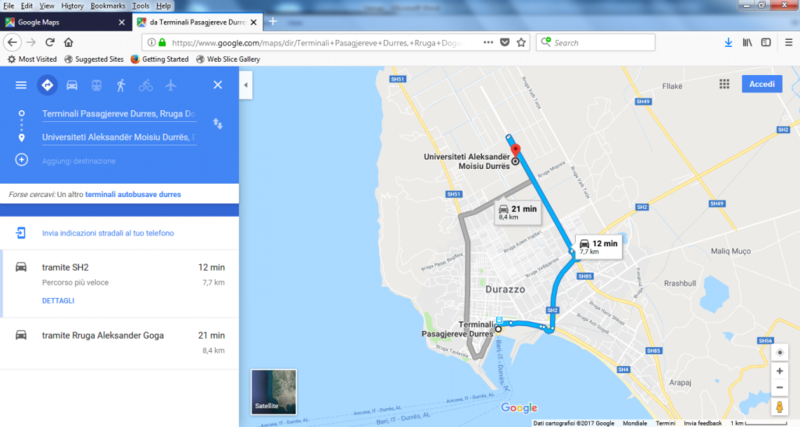 The University is located in suburb area of Durres town, with approximately 10-15 min distance from train station using a taxi. There are some possible ways to reach the Campus. 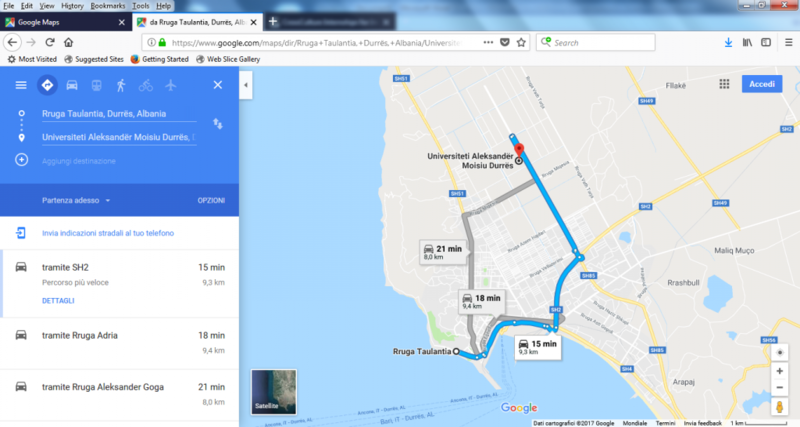 We recommend using taxi transportation that can be taken at: Train Station (Stacioni i Trenit) or Demokracia Square (Sheshi Demokracia), Durreës. Tirana International Airport Mother Teresa, Rinas, is the only airport in Albania. The distance from airport to Durrës takes about 30-40 min by car. You can take taxis from outside the airport. The taxi service established from airport is named ATEx (Airport Taxi Express), they contain yellow color with ATEx symbols, and they can be found in front of airport terminal. The taxis prices are applicable from 07.00-21.00, and can be paid in national value monetary Lek, either in Euro. These taxis are equipped with taximeter. From Tirana National Airport to Durres the taxi fee is 3000 Lek or about 25-30 Euro, and every itinerary deviation shall reflect additional changes. For late booking after 21.00, the taxi price increase with 20%. The Port is located at the north end of the Bay of Durrës, an extensive body of water between Kalaja e Turrës and Cape Durrës. Cape Durrës is located approximately 1.6 kilometres (0.99 mi) west of the Port of Durrës. The port is nearly at Taulantia Square (Shetitore Taulantia). Each passenger can find a taxi outside the port. Hotel Nais is a three star elegant hotel with modest prices, in a very calm area in city center of Durres. The hotel is in a strategic location and is only 100m walking distance from the conference venue. Hotel ARVI, is located in one of the most beautiful areas of Durrës, with a panoramic view from each room. 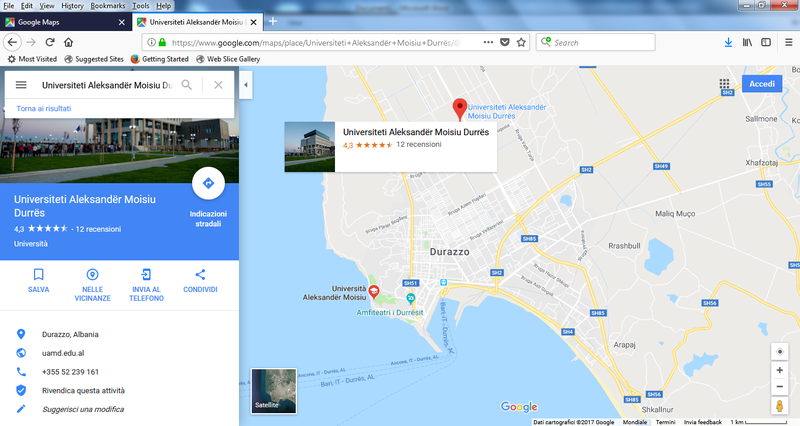 The hotel is near the Port of Durrës, along Taulantia sidewalk. The hotel is within walking distance from the city’s administrative, business and cultural institutions. It is located about 15 minutes walking distance from the conference venue. Hotel Boutique & Spa 2 Kitarrat offers a spa and wellness centre, as well as a bar and a restaurant. Free Wi-Fi access is available throughout the property. It is located about 5 minutes walking distance from the conference venue. Aragosta is a 4 star hotel located in the most beautiful area of the ancient city of Durres. Such of location between both sea and green hills where on the top you will find the royal villa of King Zog I. The hotel is in a strategic location and is only 300m away from Archaeologic Museum, 100m walking distance from the conference venue.